2019/2020 Program Registration Open! Sign up by May 15th for early bird rates. 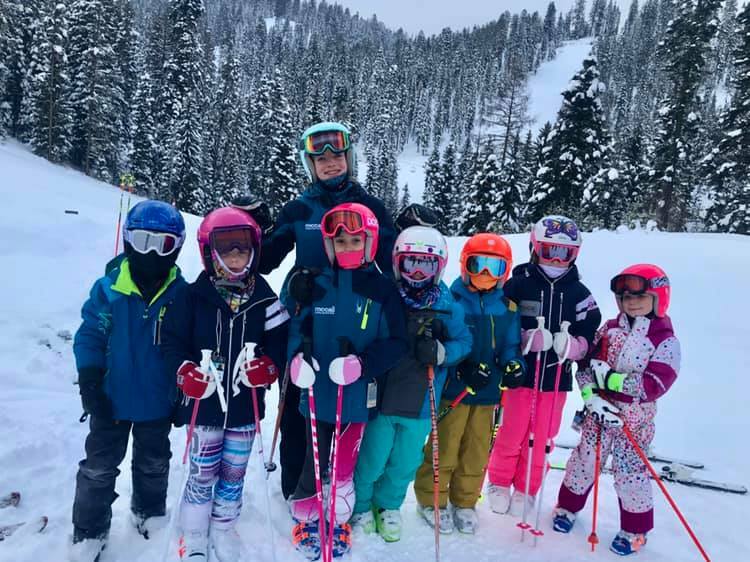 McCall Winter Sports Club's U8 All-Mountain Alpine Ski Program is an entry level program for skiers age 6, 7 and sometimes 8. We encourage all newcomers to have spent some time in the Little Ski Hill After-School Program or Brundage’s ski school, but this is not required. The U8 program is an all mountain program with a mixture of freesking and drills. An emphasis is placed on learning the fundamentals of the sport in a fun, safe and friendly environment. This is our MIGHTY MITES team! Mighty Mites meet every Saturday at Brundage Mountain Resort. Athletes have the opportunity to add a race concentrate by enrolling in the Sunday race program at Brundage and/or Tuesday at Little Ski Hill and/or Friday at Little Ski Hill. Head Coach, Bob Giles plus assistant coaches and apprentice coach, will break the team up in to smaller groups so that developmental training is paced per the individual skier. The USSA Skills Quest (phase 2) training program is used as a guide for training. 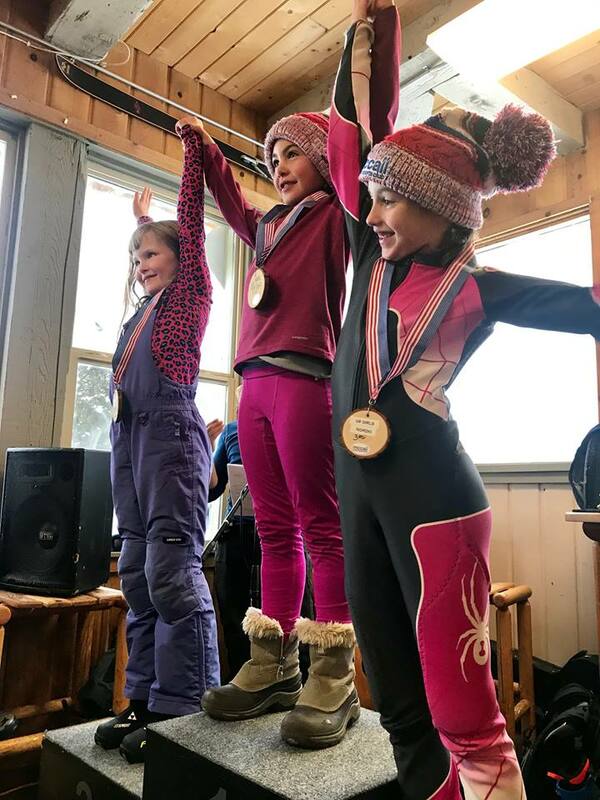 Mighty Mites will have the opportunity to compete in 2-3 local races at Little Ski Hill or Brundage Mountain as well as a few at Anthony Lakes and Bogus Basin. It is not required that athletes compete in the races. Coaches will help determine appropriate events to attend based on an individual athlete's progression. The 2019/2020 shedule has not yet been set. See 2018/19 race schedule here for a reference. Must be a minimum of 6 years of age as of January 1, 2020. Carry, put on and take off equipment independently. Load, unload and ride chair lift safely. Program begins with a Holiday Camp over Christmas break. Regular season schedule begins the week of January 7th. Athletes train Saturdays at Brundage Mountain, 9:30am-12:30pm. Athletes have the option of adding Alpine Race concentrate days for Sunday at Brundage 9:30am-12:30pm, Tuesdays at Little Ski Hill 4pm-6pm, and Fridays at Little Ski Hill 5:30-7:30pm. Season ends early April, dependent on races, events & conditions. Payment plan option is available with $100 initial deposit and remaining payments August 1st and October 1st. Scholarships are available as are ways to earn account credits by getting involved in our fundraisers.